#twinfeeder #breastfeeding #momblogger #Instagramsensation Jennifer Mancuso uses Bare Air-free with her twins! great tips to stop gas in babies by mom of five! My baby hasn’t spit up anything! #SuperheroMom of the week!! Taylor O. 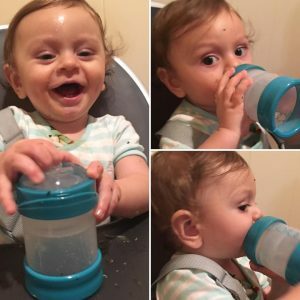 Less Spit ups! #SuperheroMom: When a Mom takes matters into her own hands to stop her baby’s pain. Put your hands together for Amanda!! #SuperheroMom feeds her baby in upright position to stop reflux, gas and colic.